The Pirastro Aricore Viola C String has a textured sound and comfortable feel for the developing musician. The synthetic core has the complex, warm tones of gut with more practical tuning stability. The silver winding adds presence to your mid frequencies whilst keeping the string's feel consistent. The medium tension gauge keeps your string's frequencies balanced, whilst being appropriate for different bowing styles. This model has a ball tailpiece end and is designed for full size violas. 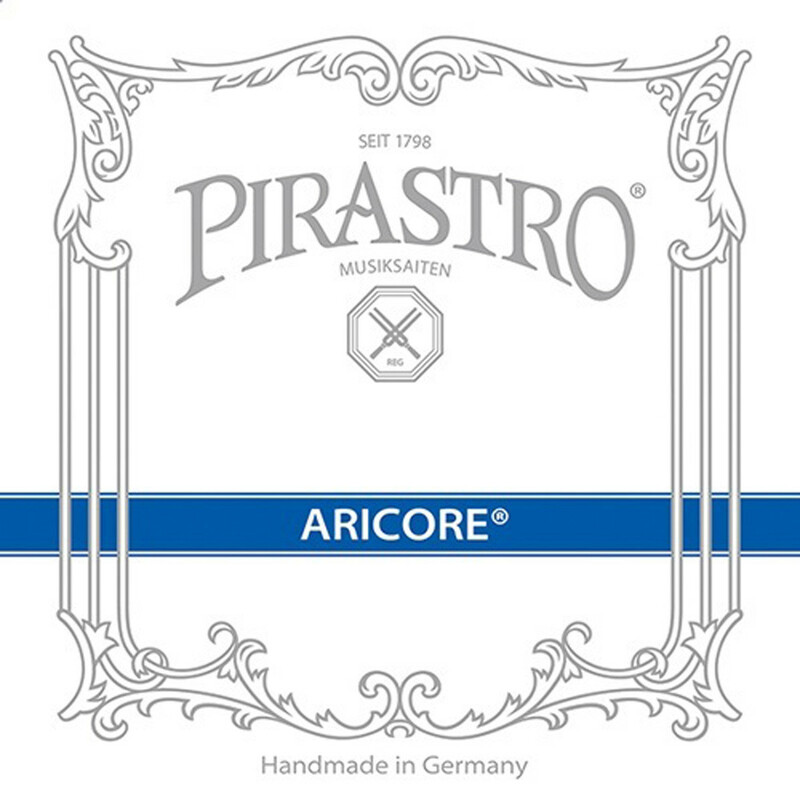 The Aricore strings offer developing musicians a comfortable feel whilst producing mature, harmonic tones. The strings are made from a soft polyester core, which produces a warm sound with complex overtones. The dark and mellow sound replicates gut, making it perfect for small ensemble and quartet playing. The Aricore strings also have no hiss on their high frequencies, which is a suitable feature for studio recordings and large concert halls. The strings' insensitivity to humidity and temperature change keeps your tuning stable when moving between venues. The Aricore series of strings are ideal for the modern live musician.